I slept through the night without any consciousness that it was old year’s night, and I went to the Masjid here in Cape Town this morning for Salaat, came back home and made me a nice cup of coffee, and then went back to work on this Bhutto essay without any consciousness that Pope Gregory’s New Year had dawned. That represents startling evidence of the anti-systemic character of my being and consciousness. The Anglo-American-Israeli triple alliance which now rules the world from London, Washington and Jerusalem, and which wages unjust war on Islam and Muslims on behalf of the Euro-Jewish State of Israel, has lost in the assassination of Benazir Bhutto one who proclaimed herself to be their dearest friend and supporter. She walked the extra mile, and talked even more than that, to convince them that she was a sincere friend and ally. She did so because she understood perfectly well that Pakistan, like Saudi Arabia, was different from most other countries in the world in the sense that the ruling Jewish-Christian alliance that had created the world-order would never tolerate the survival of any regime in either country unless it was subservient to them. While this was also true of nearly all of the rest of the world of Islam, it was emphatically so in respect of Pakistan and Saudi Arabia. Even so, I believe that they suspected Benazir’s sincerity, and that they must be quietly relieved that she is no more. After all, they knew what they did to her father, and she knew it as well; and the possibility existed that there must have burned in a daughter’s heart a deeply held desire to avenge the gruesome and humiliating assassination/hanging death of a father she adored. It would be rash for anyone to dismiss the possibility that the events we now recall were in some way related to her assassination. Indeed a summary dismissal of our arguments will raise more questions, rather than resolve the problems posed by the essay. When Israel launched her pre-emptive war on the Arabs and Muslims in 1967, that country succeeded in wresting military control over Jerusalem and over Masjid al-Aqsa. This Masjid, which was originally built by Prophet Solomon (‘alaihi al-Salaam), was universally recognized as the third of the three holiest Masajid in Islam, – the other two being the Masjid al-Haram (Ka’aba) built by Father Abraham (‘alaihi al-Salaam) in Makkah, and the Masjid al-Nabi in Madina which was built by Prophet Muhammad himself (peace and blessings of Allah Most High be upon him). The loss of Jerusalem and of Masjid al-Aqsa affected Saudi Arabia’s King Faisal so traumatically that he took courageous steps to terminate that country’s client-state relationship with the Jewish-Christian alliance that ruled the world. Faisal took carefully prepared steps to mend his relationship with Egypt’s Gamal Abdel Nasser and to put an end to the proxy war that their two countries had been waging in Yemen. When Nasser died in 1970 Faisal then continued his efforts to forge a Saudi-Egyptian alliance with Nasser’s successor, Anwar Sadat. Those efforts bore fruit, and by October 1973 Egypt felt herself ready to avenge the humiliating defeat at the hands of Israel in 1967. Simultaneous with the launch of war on Israel in October 1973 – an attack that caught Israel completely by surprise and could have resulted in an Israeli defeat had it not been for massive American military intervention in the war – Faisal unveiled his master plan. He imposed an Arab oil boycott on the US. The US dollar, which had been floating at US$40 per ounce of gold, suddenly sank by 400% to US$160 per ounce of gold, and American motorists were queuing in lines a mile long to buy gas for their motor cars. The political genius of Pakistan’s Prime Minister, Zulfiqar Ali Bhutto recognized the unique opportunity that had emerged with the dramatic successes of the war and the oil boycott and grasped that opportunity to forge a Pakistani-Saudi anti-systemic alliance. Bhutto’s political acumen, when combined with the moral and spiritual authority of Faisal’s sincere faith, would now function as the foundation for launching an effort to restore political and economic independence to the world of Islam. Within an amazingly short period of less than four months, Bhutto succeeded in hosting the Lahore Islamic Summit Conference that brought together the largest and most representative gathering of Muslim leaders since the collapse of the Islamic Caliphate in 1924. The US administration vigorously opposed that Islamic Summit. Henry Kissinger warned Bhutto of dire consequences of hosting such a summit. Prime Minister Kosygin of the USSR did the same. The Shah of Iran was used to try to obstruct the convening of the Summit. However, nothing could stand in Bhutto’s way. He courageously defied the Anglo-American-Israeli alliance and the Summit was successfully held in Lahore in February 1974. Bhutto set modest and realistic political and economic goals that he sought to achieve in the Summit, and he was successful in achieving those goals. Bhutto the actor also brought drama to the Summit when he reconciled with Bangladesh’s Mujibur Rahman and cleverly used the platform of the Summit to extend political recognition to a Bangladesh that had emerged from a truncated Pakistan. Two months after the Summit, in April 1974, India launched her first nuclear explosion and entered into the nuclear club. It is quite likely that the timing of the Indian nuclear explosion represented a carefully calculated Indian political and military warning against the emergence of an Islamic bloc that would be independent of the Anglo-American-Israeli embrace. India was resolutely opposed to the emergence of an Islamic bloc, indeed so opposed that the Indians had courted public humiliation in 1970 when the Indian delegation was thrown out of the Rabat Islamic Summit Conference. Bhutto’s response to the Indian nuclear explosion confirmed beyond any doubt that he was committed to an independent Pakistan that would be free from American and Indian hegemony. He emotionally and publicly launched Pakistan on a do-or-die national effort to achieve a Pakistani nuclear response (to India’s entry into the nuclear club) and announced that the effort must be pursued “even if it were to take a thousand years and even if we have to eat grass”. However, money did not really constitute a problem since, so long as the Saudi-Pakistani alliance remained intact, it would always be possible for Saudi Arabia to fund that Pakistani effort. In fact, it took just a few years for Bhutto’s dream to be realized and for Pakistan to dramatically succeed in entering the nuclear club. This essay is primarily concerned, however, with the consequences that emerged for Faisal and Bhutto for having dared to defy the Jewish-Christian alliance. 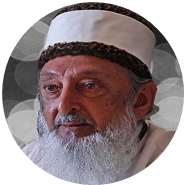 (Readers may wish to look at my essay on the topic: “The Qur’an prohibits Muslim friendship and alliance with a Jewish-Christian alliance” located on my website www.imranhosein.org). In August 1975, one year after the Lahore Summit and less than two years after the oil boycott on the US, Faisal was assassinated. Those who planned the assassination demonstrated their evil genius (even before 9/11) when they succeeded in drugging, brainwashing and hypnotizing one of Faisal’s nephews, then a student at an American university, to return to Saudi Arabia and to shoot his uncle to death. The Saudi royal family understood perfectly who was responsible for the assassination, why it had occurred, and what was the message with which it came, and decided to abandon Faisal’s independent foreign policy and to return to the American embrace as a client state. The score then read “one has gone – one more must go”. Bhutto’s turn was next. Faisal’s death was quick. It took just a moment and it was over. Not so Bhutto, – they made a truly horrible example of him and he suffered worse than a dog before he was assassinated/hanged to death. In 1976, Bhutto’s Pakistan People’s Party completed its five-year term of office and general elections were due. The Anglo-American-Israeli alliance intervened so dramatically in those elections that Pakistanis resident in USA were sent back home with briefcases packed with millions of dollars. One such money-mule confessed to such to this writer himself. Pakistani intelligence discovered evidence of massive intervention and corruption of the electoral process. Bhutto counter-attacked by rigging the election. His enemies then responded by financing such violent street demonstrations and riots that it was Iran in 1952 all over again. The CIA had brought down Dr Mossadiq’s nationalist Iranian government in 1952 while using the same strategy. The fact that Bhutto had made many enemies made the task easier for them this time around. Street demonstrations and riots eventually created political conditions that could be used to justify a pre-planned military coup-d’etat. Predictably, the military coup d’etat installed a pro-American military dictator. Bhutto was arrested and spent more than a year in jail (in humiliating conditions that he described to be worse than that of a dog) before he was assassinated/hanged to death as an accomplice to murder. It was in the midst of this Soviet endgame in Afghanistan that Dean fell afoul of the State Department for the last time. After the death of [Pakistani President] General Zia in August 1988, in a plane crash that also killed the American ambassador in Pakistan, Arnold Raphel, Dean was told in New Delhi by high-ranking officials that Mossad was a possible instigator of the accident, in which the plane’s pilot and co-pilot were apparently disabled or otherwise lost control. There was also some suspicion that elements of India’s Research and Analysis Wing, its equivalent of the CIA, may have played a part. India and Israel were alarmed by Pakistan’s work on a nuclear weapon–the “Islamic bomb.” Dean was so concerned about these reports, and the attempt by the State Department to block a full FBI investigation of the crash in Pakistan, that he decided to return to Washington for direct consultations. Instead of the meetings he was promised, he was told his service in India was over. He was sent into virtual house arrest in Switzerland at a home belonging to the family of his French wife, Martine Duphenieux. Six weeks later, he was allowed to return to New Delhi to pack his belongings and return to Washington, where he resigned. Benazir did her very best during her two brief terms as Prime Minister of Pakistan to convince them that she was not her father’s daughter, but in the end, it appears to me, they decided that a Bhutto was a Bhutto, and they could not chance another Bhutto! And so on both occasions that she became Prime Minister, she was deposed. However, on this post 9/11 occasion when Israel is so close to achieving a messianic destiny of ruling the world, and Benazir’s electoral victory was only two weeks away, they had to put her away.